This can hardly go unnoticed. The uncanning talent of Fagottron a.k.a. Pogo is something out of this world. Pogo remixes movies. Yes, that’s right, movies. He uses the original soundtrack, including speech, and only adds a sinewave bass, cymbals and a steady drum. It all started with his extraordinary remix of ‘Alice in Wonderland’, and since then it has gone up, up, up for Pogo. 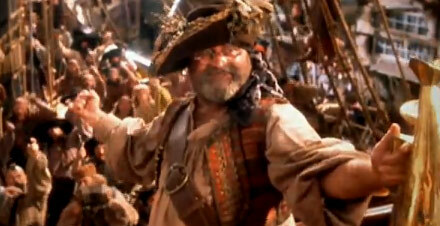 His latest remix features scenes from the Spielberg classic ‘Hook’. Watch it, then watch his other videos, they’ll blow you away.